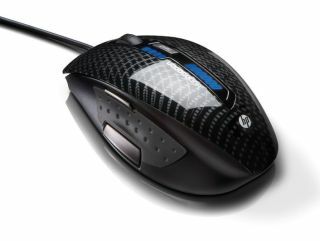 Hewlett Packard has unveiled a whole host of peripherals amidst its raft of recent releases, including a gaming mouse, a wireless desktop and a mid-range laser mouse. First and foremost, the Laser Gaming Mouse with VoodooDNA boasts a staggering DPI of 3,200 for around $60 (c£30 UK – before the normal jiggery pokery). Slightly closer to the entry-level end of gaming mice, the HDX Laser Mouse ($39.99) has on the fly DPI switching and a not inconsiderable 2400 DPI and five profile settings. Last, but not least, the Wireless comfort desktop ($79.99) boasts a spill resistant keyboard, a wireless 800 DPI mouse a USB wireless receiver and needs four AAs to power itself. We've contacted HP in the UK to try to wheedle out some release dates and prices for this side of the pond.